The mermaid wedding dress is a popular style and is especially flattering to tall, slender women, but also very popular with plus sizes as well. This style of dress features a form fitting bodice, and hugs snugly to the waist and hips before flaring out around the knee and flowing to the floor. Mermaid dresses can range from simple to elaborate, and often feature lace and ruffles as part of the design. Because most mermaid dresses are on the simpler side, there are many accessories that add style and beauty to the bride in her mermaid gown. A bride can add a sheer cloak to her mermaid style wedding dress for summer weddings. The cloak fits over the shoulders and falls at about elbow length or higher similarly to a mantle. There is sometimes a bow that adorns the front of the cloak but buttons, ties, and snaps are also popular. Lace on the bottom edge of the cloak adds a hint of romance to the look so it is a good option as well. The cloak can be worn during the reception and will add charm to the bride’s appearance. For brides who are getting married in the winter, winter cloaks are an option to keep the shoulders warm. Winter cloaks can be made of warm materials but are often made of wool or fur and extend anywhere from the bottom of the shoulders to the ankles. Cloaks make an excellent addition to a mermaid wedding dress because they balance the dress to flatter the shoulders, while allowing the dress to accent the waist. If a bride chooses a simple style mermaid wedding dress, she can add color and style to the gown with a belt. Belts come in silver, gold, and black as well as red and other colors. Some are satin ribbons that tie and add a bow to the gown. Other belts are lace or beaded. 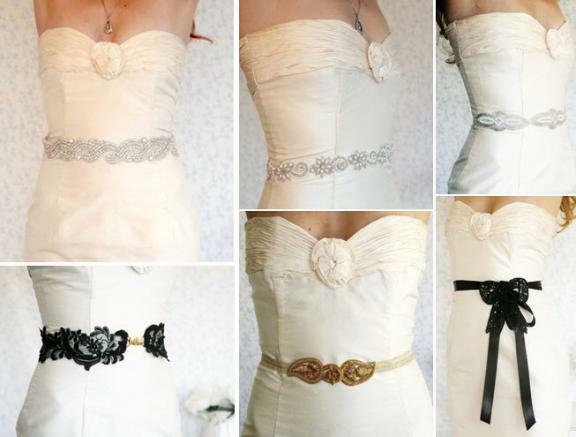 Each belt will add a unique look to the bride’s appearance and can be chosen according to personal style. Nothing says romance and class like long white opera gloves. Satin gloves will add a touch of old fashioned charm to your mermaid dress and balance your arms out with a strapless style. Some gloves are made to go to the elbow and some are pleated at the top to give the appearance of being scrunched. 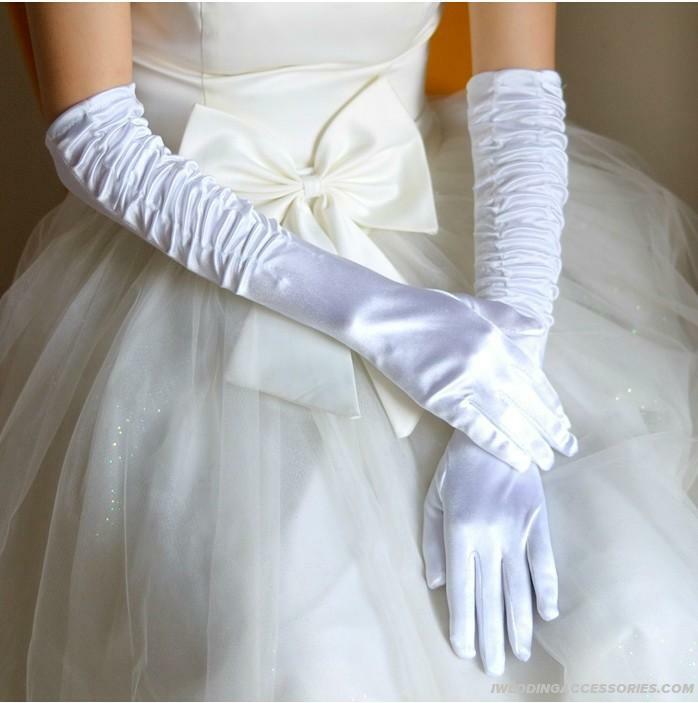 Other gloves have lace, beading, or organza flowers on them for decoration. Some styles of gloves go above the elbows or higher and are made of lace instead of satin. A bridal hat can beautifully accent a mermaid wedding dress. A hat is an option for the bride who does not want to wear a veil but can also be worn over the veil. 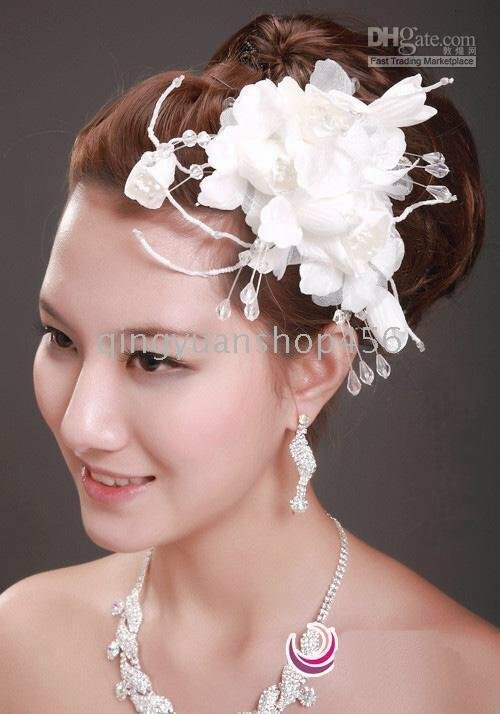 Wedding hats are typically larger flowers with crystals or lace. They are sometimes worn on one side of the head for a sophisticated look. Some styles of bridal hats have a combination of feathers and lace and are actually fascinators. Flowers can be made of organza but some are made of chiffon for a soft and silky look. 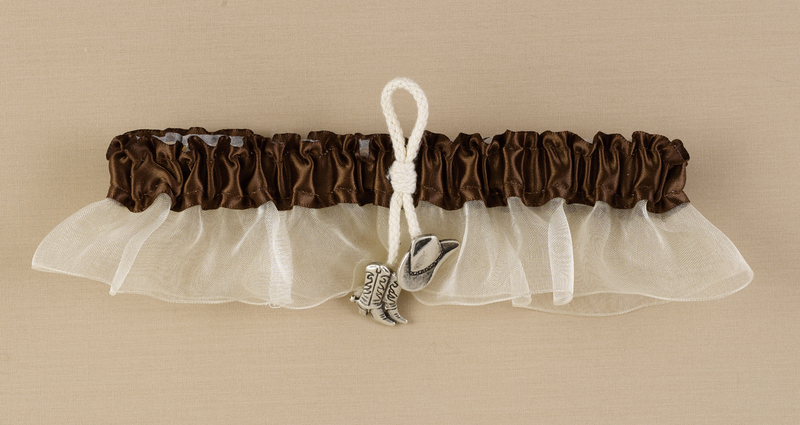 One accessory for a bride that is not seen until after the wedding is her garter. Garters are worn on the leg. There are several types of garters from lacey to satin ones. Some garters have bows on them. Other garters have hearts or rings tied with a ribbon. 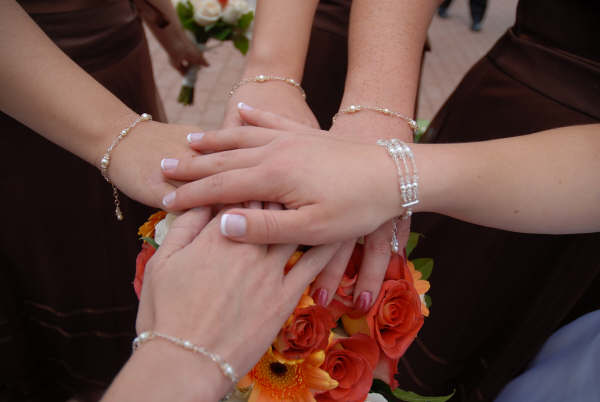 Brides can find garters to match their wedding colors or they may choose to wear a white garter. Garter straps can also be purchased to hold up stockings to wear under the dress. Brides can wear dazzling jewelry to add sparkle and shine to their mermaid dress and complete their look. For strapless mermaid wedding dresses, a long necklace shows off the bride’s neck. 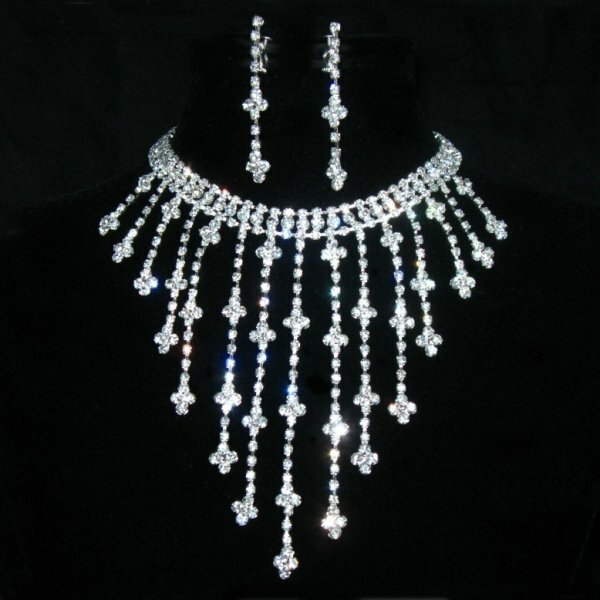 A necklace with dangling crystals or diamonds will sparkle as she walks down the aisle. Matching earrings that hang down from her ears will catch the light as well. There are plenty of bridal jewelry sets so look around and find something that suits your style. A mermaid wedding dresses look wonderful with heels. A pair of open toe silver heels will show off the bride’s feet when they happen to appear from under the floor length dress. 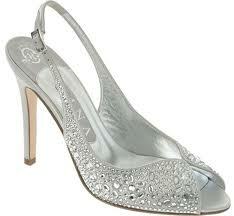 Brides can find shoes in a slingback style with thin straps as well. Ballerina flats are a great option for taller brides or those who don’t want to wear heels, but kitten heels are also a good option. Every bride wants to feel like a princess on her wedding day and a tiara can make that dream come true. A stunning tiara adds a bit of fairytale magic to any wedding day. Tiaras can be worn with or without veils. They can be worn with long or short hair. A tiara looks stunning when worn with an upswept hairstyle. They will add glamour to any style of mermaid wedding dresses but make sure the look flatters the shape of your face, and the style of your wedding. 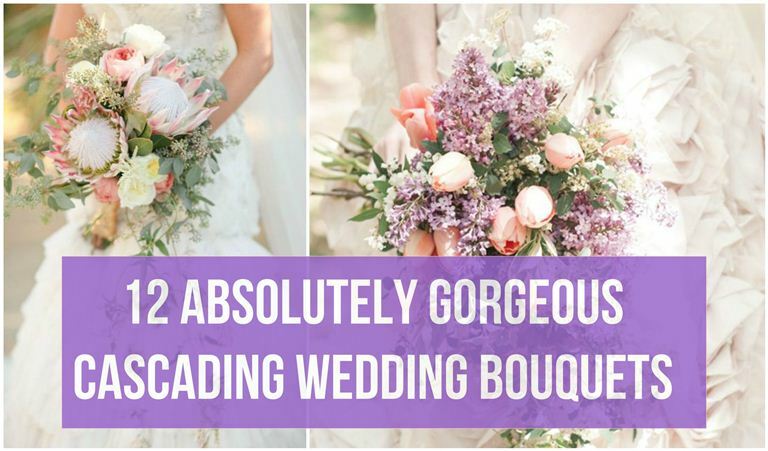 The ultimate accessory for any wedding dress is the veil. Veils come in a variety of styles and designs. Some are short and others are long. They are made of netting, sheer fabric, or lace. Some veils have a shimmery and glittery look while others have beading on them. A veil worn with a tiara will add charm, elegance, and style to any bride wearing a mermaid wedding dress.